Parents: they kill because they care. 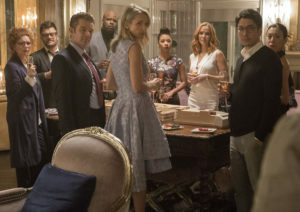 Since the second season of Runaways was given more episodes than the first, Schwartz acknowledged that there should be a lot more payoff for the investment viewers made in the previous. Not only that, but there would be more focus on the kids themselves. 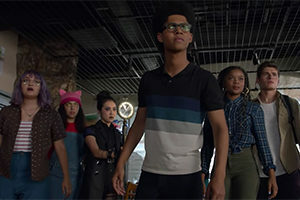 “Because the Runaways are now living in this new environment and encountering new characters, the weight of the storytelling does lean more towards [them].” In that same vein, Savage added that the way they approached stories for teenagers was different now than when they worked on shows like The O.C. and Gossip Girl as well. “I think literally it’s changed in terms of talking to our actors, where when we first started working we were much closer to the age of our actors,” she joked. Diversity is more than a buzzword. That shift in priorities for has led to Runaways being praised for its diversity, which Schwartz credited as already being an essential component of Brian K. Vaughan’s comic run. But he and Savage worked to expand on some plot points, such as the Karolina and Nico relationship. “[It] wasn’t really explored in the initial run of the comics [but] was something that we obviously leaned into much more quickly and very continually do this year.” He also pointed out the second season contains even more diverse and inclusive characters in its storytelling, both as a conscious choice on the part of the showrunners and as an homage to Vaughan and Alphona’s source material. The first two seasons of Runaways are currently available on Hulu.